This interactive presentation contains the latest gas (and a little oil) production data through April, from all 8,097 horizontal wells in Pennsylvania that started producing since 2010. After the significant jump in output at the end of last year, gas production has remained fairly steady at a level around 16 Bcf/d. Similar as in other basins, operators have completed their wells since 2017 with on average 30% more proppants than in 2016, and the result can be seen in the ‘Well quality’ tab: significantly more initial production. 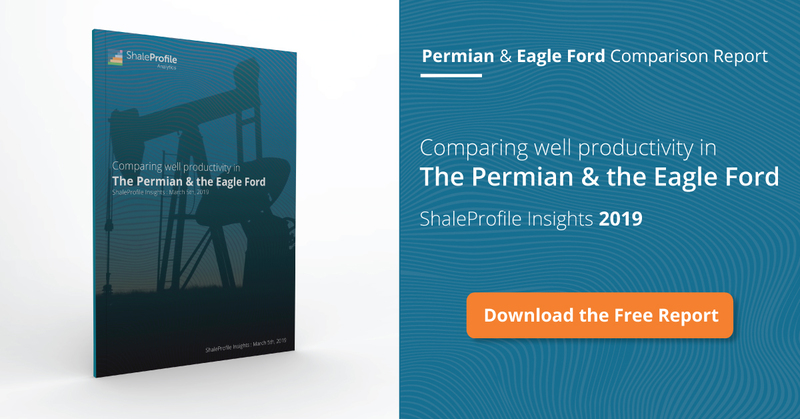 Chesapeake and Cabot are the leading operators in this region (see ‘Top operators’), with each above 2 Bcf/d gross operated production capacity, but Range Resources and EQT are narrowing the gap. Although their average well productivity is lower than the first two, by completing more wells they were able to grow production more rapidly. Also here the increased well performance in recent quarters is clearly visible. Newer wells can expect to recover 3 Bcf or more in the first 16 months on production, while this took 5 years for wells that started in 2012. In the 4th tab (‘Productivity ranking’), Cabot is showing the best average well results in this region among the larger operators, as measured by the cumulative gas production in the first 2 years (4.7 Bcf). Ohio still didn’t release 2018 Q1 production data. Once it does, I will have a post on this state, and include also 2017 production data for West Virginia. Next week I plan to have an update on the Eagle Ford. What do you estimate the 1 year decline, 2 year, 3 year, 4 year, and terminal decline for PDP decline in the Marcellus and Utica? A useful dashboard to answer your question is the ‘Well quality’ tab in the first interactive presentation. There you can see the average production profiles, for all wells grouped by the year in which they started. Note that these profiles have changed over time, so these annual decline figures have as well.